I had been organising a few pick up and drop from ola in the last month That was part of my job in the production house .Finally last week I had the opportunity to ride with it personally First day as I took the ride for ₹170 from home ,I found it a little expensive .But over the last about 8 rides sitting and chatting with the driver understanding exactly how the ola works ,benefits they get and how have they been enjoying this Service . 1st while coming I asked the driver how does ola work ?since this is my 1st ride ,Does the meter start when I book ? Or when my ride starts ? And soon I realised well you can’t really tamper with the “meter ” which otherwise can be done .As I got hooked to the punctuality I kept taking the rides and was surprised this time only ₹134 then I realised well it was the distance and route . Now I got the hang of it so I took the shorter route and took the TFS (Taxi for sure) an app that ola acquired ,a competition to them .Since none of the ola cab was available at that particular time I called for TFS after Paying I thought it was slightly cheaper than ola but wait a minute 49₹ for 4 km and ₹12/km and ola 49 for 3 km and ₹10/km after the first 3 km .so not exactly cheap but turns out to be the same .Hello what’s with this per minute cost ? After questioning the drivers . The answer its for the waiting ,hello but I have taken by ride on time then what’s this ?the only thing I don’t understand is this per minute they charge for the ride .Is that the way they make money ? 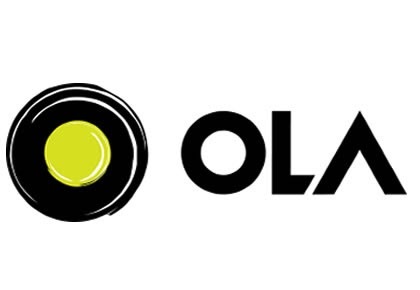 Ola even sets a targets for drivers ,and what if they don’t complete them? They just request the customer to book they ride a few meters and stop and hope the one or two they need just come about ,the loop hole of completing the targets . I guess it’s getting too boring to speak about this .Last not the least the invite & earn policy of ola .The driver are telling you the way to get the free rides by inviting friends ,telling them to create account and ride and you would be benefitted with ₹200 worth free ride as and when you take it .a complete or understanding most about how ola works .